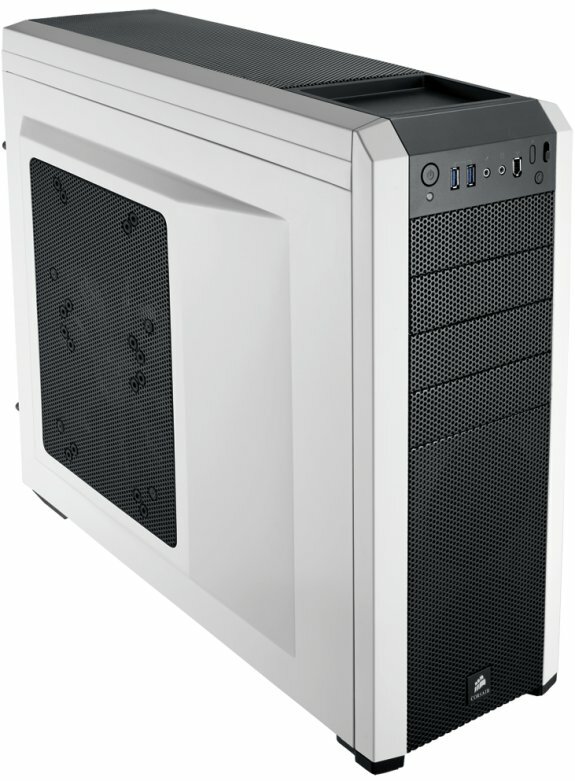 Corsair introduced the Carbide 500R, a new mid-tower case available in a graphite and white edition. It should be available in retail stores for around $139. Corsair, a worldwide designer and supplier of high-performance components to the PC gaming hardware market, today announced worldwide retail availability of the Carbide Series 500R gaming PC case. The Carbide Series 500R joins the Carbide Series 400R, released in September. Like the 400R, it has been designed for PC gamers with the same builder-friendly philosophy as the award-winning Obsidian Series and Graphite Series of PC cases, and at an exceptionally aggressive price point. 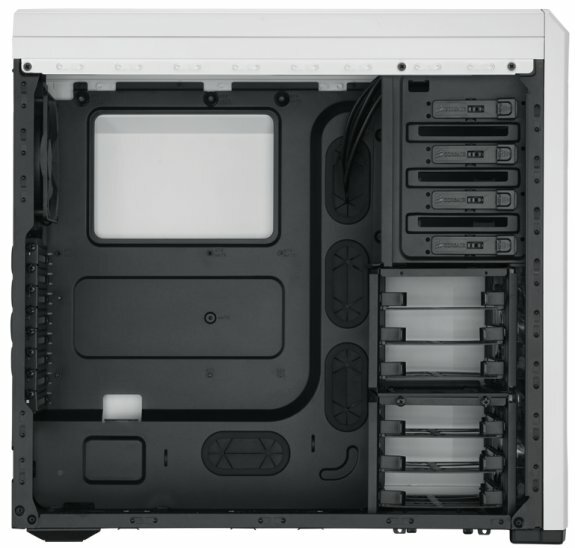 The 500R’s upgraded design is available in arctic white and graphite gray and includes a side mesh panel with a 200mm fan for additional GPU cooling, a multi-channel fan controller, and movable hard drive cages for installation of graphics cards of up to 452mm in length. 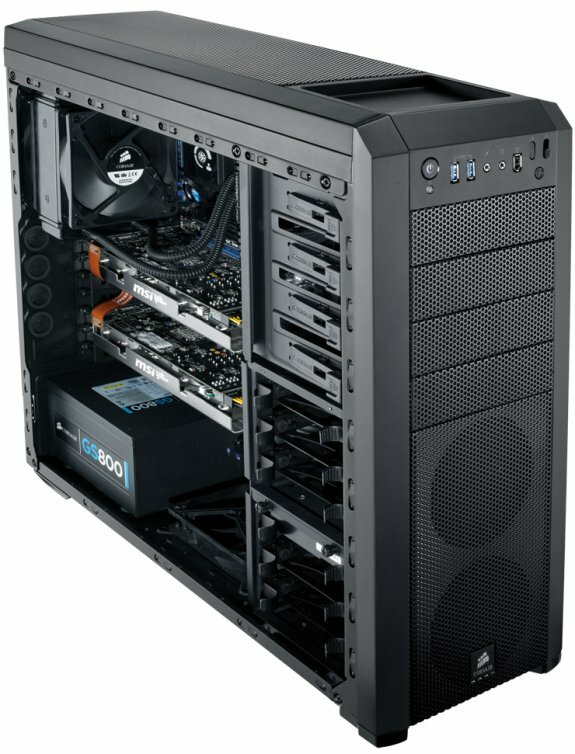 "The Carbide Series 500R takes everything that's great about the 400R, inherits additional features from our higher-end cases, and wraps them all in a new skin that really draws the eye." said Ruben Mookerjee, VP and General Manager for Components at Corsair. "Cooling performance is superb, and it’s a great platform for high-performance gaming rigs with multiple graphics cards." The Carbide Series of gaming PC cases is designed for performance enthusiasts who want a budget case but who demand serious gaming case features. New system builds and upgrades are fast and simple, thanks to the easy side panel access and tool-free drive installation and removal. Corsair's innovative cable-management system allows for clean-looking builds and improved airflow. Support for USB 3.0 and 2.5" SSDs is built-in, and USB 3.0 ports are provided on the front panel and connect directly to motherboards with compatible USB 3.0 headers.